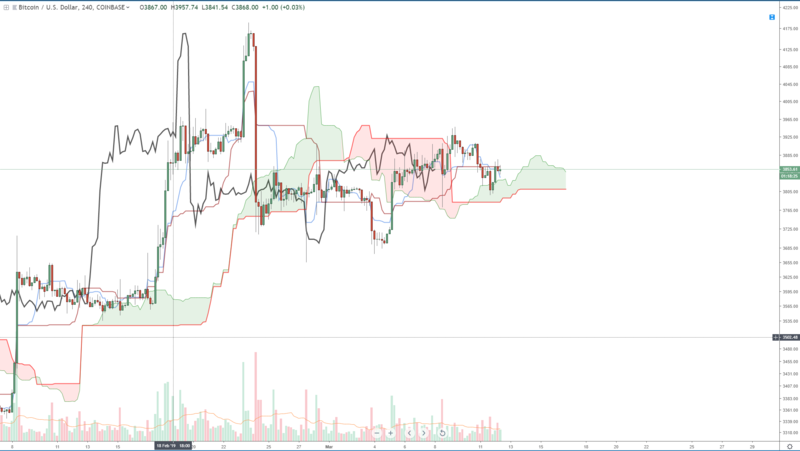 A powerful and particular event in technical analysis has not occurred since July of 2017: Bitcoin has had a bullish break above the Daily cloud in the Ichimoku system. 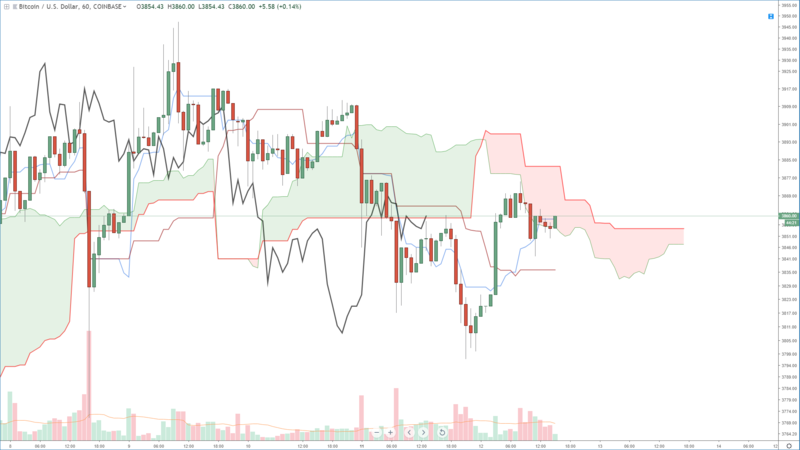 Bitcoin has accomplished, for the first time since July 20th, 2017, a major move on the daily Ichimoku chart. Both the Lagging Span and the current price are above the cloud. This is a huge deal. It’s hard to believe that it has been so long since there has been a bullish break of the cloud on daily chart for Bitcoin. That the move has happened since coming off 2018 and 2019 lows is impressive. Perhaps more important is that the move has occurred after the first bullish monthly close in more than 7 months. While the move is extremely powerful, there is one piece of evidence that is missing: follow through. All the conditions for being bullish on the daily chart have been met, except for the actual price action and participants to engage the move higher. One would assume that after such bullish conditions have been met after such a long time there would be significant participation in a move higher, but there has not been. And that could be concerning – the current pattern on the daily chart does look like a bearish flag or pennant, which is a bearish continuation pattern. However, if you were to look at TradingView’s aggregate market cap chart, you would also observe the highest volume coming into cryptocurrencies since the Winter of 2017. That fact alone could explain why Bitcoin has not had any follow through bullish moves: people are participating in the altcoin markets. The 4-hour chart is showing ‘chop’. In other words, it’s a fairly constricted and tight range that is being traded. This kind of activity is indicative of indecision and waiting by the participants. I usually call this kind of price action the environment where new trading accounts go to die. Many false breakouts and breakdowns are common with this kind of trading setup. But the Ichimoku system can prevent future mistakes by accurately predicting when this ‘chop’ will occur and how to avoid it. Within the Ichimoku system, there are two major signals that tell us to not take a trade. First, if price is trading inside the cloud. Second, if the Lagging Span is trading inside the candlesticks. Generally, the first warning sign that we get that a chop zone is approaching is when the Lagging Span gets closer and closer to trading inside the candlesticks. Both of those conditions are present on the current 4-hour chart. But this also gives us a clear view ahead for accurately predicting and forecasting the next major breakout. Bitcoin’s 1-hour chart provides the right amount of near-term analysis needed to get a predicted breakout level. We know Bitcoin is just under the Daily Kijun Sen and it’s almost right on top of the 4-hour Kijun Sen as well. A break above towards 3880 would put Bitcoin above both of the Daily and 4-hour Kijun-Sen levels – which by themselves is extremely bullish. 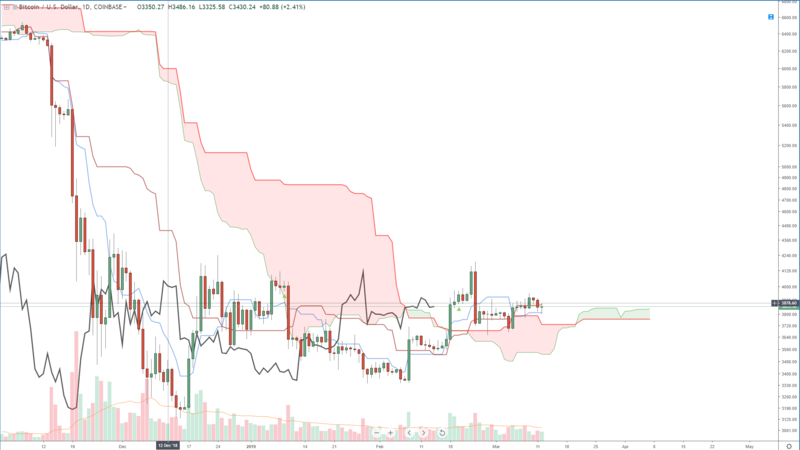 But to get an actual ideal Ichimoku breakout on the 1-hour chart, we need to see Senkou Span A sloping up and, most importantly, price and the Lagging Span need to be above the cloud. That would happen right at 3897 for the current trading day.